Calling all writers and storytellers! The stage is yours! To participate as a storyteller, please pre-register by purchasing a “Storyteller” ticket at check out, and then prepare your five-minute story around the evening’s theme. Please note that purchasing a “Storyteller” ticket does not guarantee you a slot. Pre-registered “Storyteller” ticket holder’s names will be picked throughout the evening until all slots are full. The evening will begin with music from our house band The Tall Pines, and pre-registered storytellers’ names will be chosen by our host. 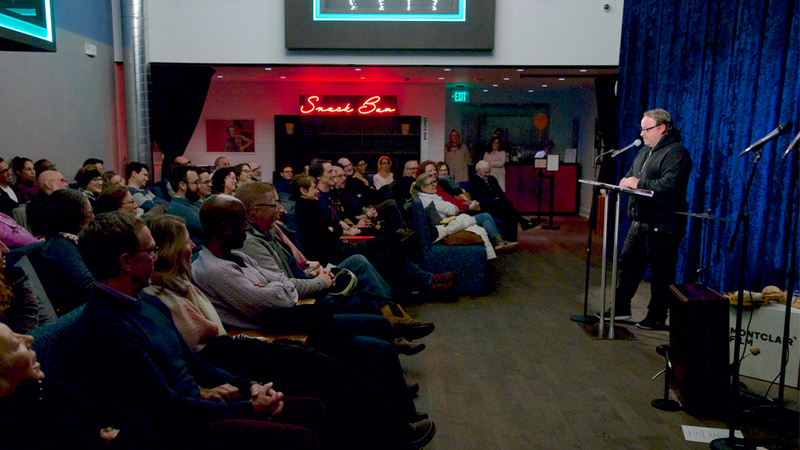 Storytellers selected in the drawing will have five minutes on stage to share their work (The Tall Pines will play off any participants who go past the designated time), and a panel of local judges will select a winning story at the end of each event. A special series for High School Storytellers will premiere on March 18th. 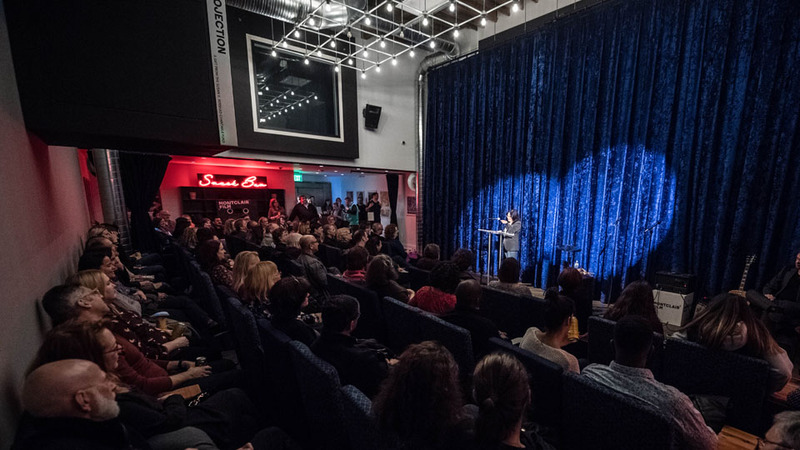 Winners from each event are invited to participate in a special program of storytelling presented at the Wellmont Theater on Saturday, April 28th at the 2018 Montclair Film Festival.